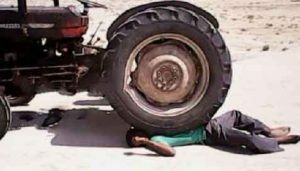 Jaffna News: A man was killed due to an accident in Jaffna today, police said. One person was killed and another injured in the accident at Kodakamam area this morning. Police say they have been disrupted by the van and the tractor machine. Wigneswaran died. M.Sivasankar from the same area has been admitted to Chavakachcheri Reserve Hospital for the treatment of the injured.